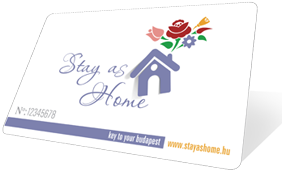 With your Stay as Home card you will get the following services free of charge: professional anamnesis, health screening, body composition analysis, comprehensive physical fitness testing, nutritional counselling, personalized training plans (which suits you best), long-term training plans. Our mind, body and spirit all have the power to affect each other and together they make up our personality. The specific exercise plan or lifestyle program befitting our daily habits and physical fittness will enable us to pursue our goals effectively and to reach the balance of mind and body that will result in a positive effect on our general mood and performance. Besides being a trained psychologist and a professional actor and dancer since childhood with experience as a horse stuntman, I have finally fulfilled my career quest as personal trainer and aerobic intructor. During my professional life I have often experienced the positive effect our looks have on our self esteem and accomplishments. The functional training method I mostly use with my clients aims at the protection of the spine, with prevention of the abdomen and lower back pain caused by extensive sitting. We strive for short term results through both the gym and the outdoor training sessions since handling everyday, ordinary situations provides a sense of satisfaction. The training sessions take place in a friendly athmosphere conducted with the help of the latest trends and alternative methods in workout.